Spring: 3 foods you should be eating now! 1. Oily fish to mend your heart! Despite their name, oily fish are one of the healthiest foods, a real treasure trove of nutrients! They have a complete amino acid profile and unlike other animal protein sources, they contain up to 40% of the total lipids in the form of highly unsaturated long-chain fatty acids (e.g. wild Atlantic salmon). 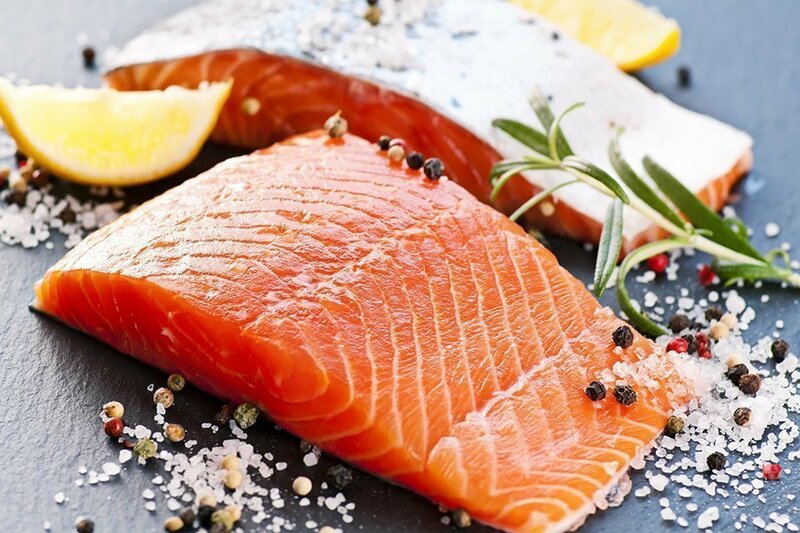 In addition, oily fish are excellent sources of vitamin B, A and D as well as trace elements such as calcium, phosphorus, iron, copper, selenium and iodine. The American Heart Association recommends consuming at least 2 servings (approx. 100 g per serving) of cooked fish per week, preferably oily fish (e.g. salmon, sardines, herring, albacore tuna, anchovies, etc.) to reduce the risk of cardiovascular diseases. Eat a variety of fish (ideally eco-labelled fish to ensure quality products and to encourage sustainable fishing as well!). 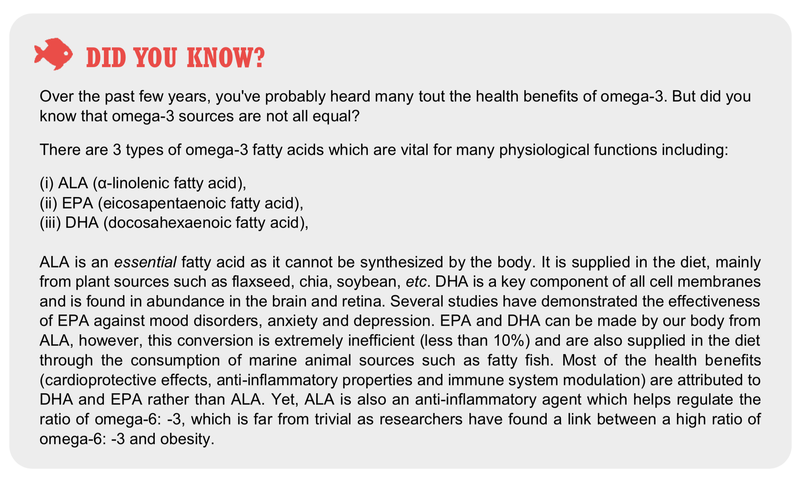 And above all, avoid frying them as this may lead to a loss of omega-3 and an increase in other fatty acids (e.g. trans fat), depending on the type of fat used. Sliced or diced, raw or cooked… Beetroots have conquered our plates and palates by its subtle sweet taste, crunchy texture, and great versatility. In addition to containing fiber, it is a healthy source of carbohydrates as it has a medium glycemic index and contains many vitamins (A, C, folate, niacin and biotin) and minerals (iron, magnesium, selenium, potassium, zinc, etc.). 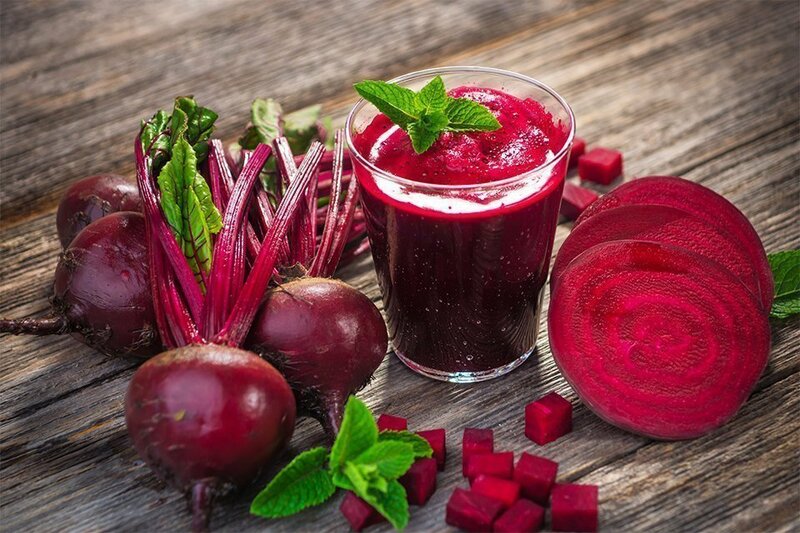 A distinctive quality of beetroots is their high betalains content, a class of pigments which not only confers to them vibrant red hues but also many surprising benefits. Who on earth doesn’t like these sweet and tangy fruits? Strawberries are particularly rich in vitamin C, an essential element for the maintenance of many vital functions – e.g. 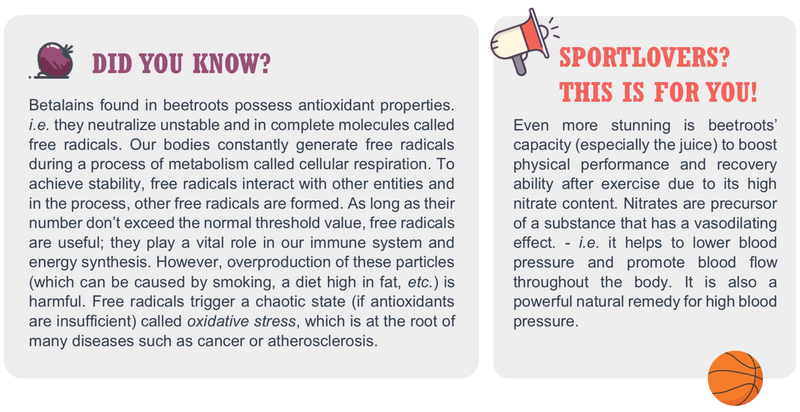 it plays an important role in the absorption of iron and the synthesis and repair of collagen, which is a component of blood vessels, muscles, skin, etc. 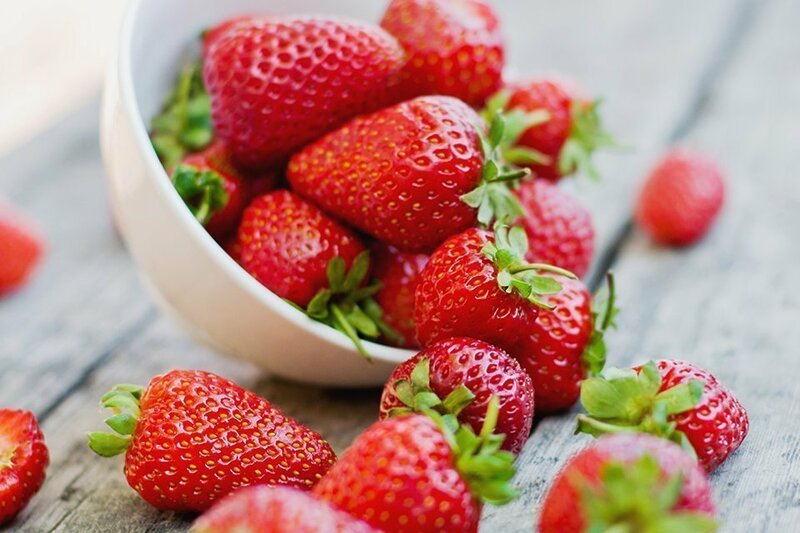 Strawberries also contain trace elements (such as manganese and potassium) and antioxidants (flavonoids and ellagic acid) that, according to studies, help to slow down cellular aging and prevent many chronic diseases mentioned above. And the “strawberry” on top is that they are low in calories (only 30 kcal per 100g)! The holidays are a great opportunity to spend time with friends and family. However, these gatherings are often centered on a meal – which can make things very challenging for individuals with diabetes. Too much worry about portion selection can induce stress and anxiety. The American Diabetes Association (ADA) suggests to start meal planning in advance. This way, individuals with diabetes can sample and enjoy appropriate portions of their meal without having to guess at nutritional values. In 1992, the USDA sought to convey to Americans what it meant to maintain a healthy diet using a colorful and easy to understand graphic – the food pyramid. The food pyramid was utilized by schools, government programs (such as the Federal Supplemental Nutrition Assistance Program), and various major media outlets to convey the elements of a healthy diet. As the obesity rates in the US continued to climb, in 2011, the food pyramid was replaced with the MyPlate diagram. MyPlate illustrates recommended portions directly on a representative plate and aims to educate Americans on the food intake and portioning that constitutes a healthy diet. The challenge with both of these tools has been that while many qualified experts were consulted on their development, so to were corporate lobbyists and industry groups who are major contributors to government parties. What is truly needed are recommended nutritional guidelines that are not influenced by corporate lobbyists or governmental agencies. Coronary heart disease and stroke risk may increase with skipping breakfast regularly. Some researchers found that those who routinely skipped on the most important meal of the day had a higher risk of heart attack and coronary heart disease. With a busy schedule, it is easy to skip breakfast. But, according to a recent study, taking a few minutes to eat something in the morning can really save your life. It is nothing new that breakfast provides our body and brain with the essential nutrients. Starting the day with an empty stomach is like trying to start a car without petrol. Various research have shown that those who skip breakfast have 27% higher risk of heart attack or health complications caused by heart diseases. Moreover, a lack of proper meals at breakfast may also lead to obesity and type 2 diabetes. Nutritionists and other health experts advise a healthy breakfast within two hours of waking. A breakfast full of junk foods defeats the purpose. You should ensure that your meal is healthy and provides reasonable amount of energy and nutrients such as protein, carbohydrates, vitamins and minerals. Dietsensor gives accurate results with any homogeneous food, even with homemade dishes and beverages. 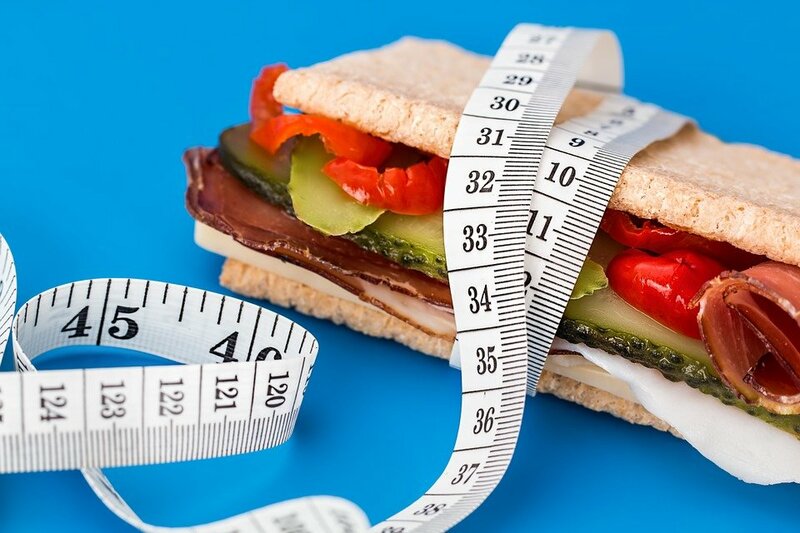 The application and the SCiO help you to keep a healthy balance of nutrients at every meal. The number of people with diabetes has quadrupled around the world over the last 35 years, according to a new report. The World Health Organisation (WHO) has warned that diabetes is now a “serious threat to population health” as obesity fuels a rise in the disease. And, while it was once more confined to richer countries, the 2016 WHO report warns that diabetes is now rising fastest in middle and lower-income countries. “No longer a disease of predominantly rich nations, the prevalence of diabetes is steadily increasing everywhere, most markedly in the world’s middle-income countries,” said Margaret Chan, director-general at the WHO. We all know that Diabetes is a chronic disease which occurs when the pancreas does not produce enough insulin, known as the hormone which regulates blood sugar. Whereas about 108 million people suffered from the disease in 1989, there are more than 415 million people who suffer from diabetes in 2016 and the 1.4 billion people who battle each day with obesity. « Scan your food. Manage your health. 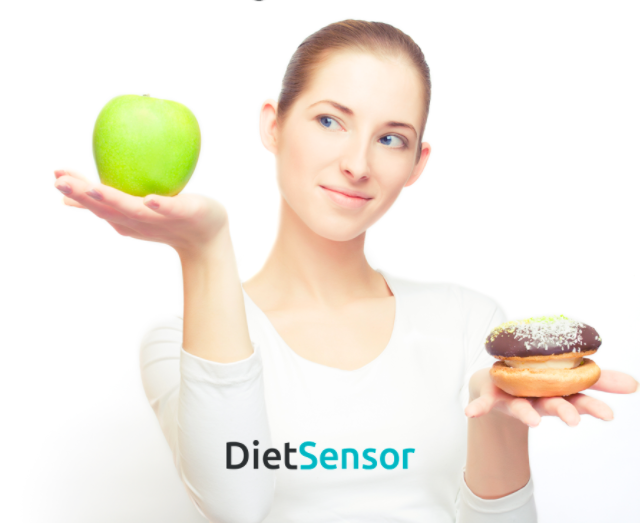 » Dietsensor marks the beginning of the next generation of nutrition tracking tools. It is the first instant nutrition coach with sensors able to tell within seconds the nutritional values of a food or beverage and give immediate advice, of the quantity of what you should eat from your plate based on your goals. All this driven by evidence based medicine. The DietSensor app is for people who need to control their daily food intake, especially those who want to effectively tackle weight loss, get in shape or manage diabetes, cholesterol, blood pressure or other chronicle diseases related to nutrition. ( it’s an extremely popular option for people looking to really get their arms around their portion size, daily caloric goals and intake, and start keeping an eye on the foods they eat.) It is a User-Friendly app, taking you 10 times fewer clicks to log a food than with other manual input methods. We’re always working to make Dietsensor Logbook better, and we’re counting on your feedback! Have a problem, criticism, question, suggestion, or praise? It’s all super important to us, and we’d love to hear from you.